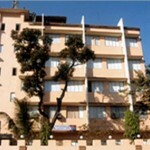 The College was established on 16th June, 1969 by the Anjuman-i-Islam, Mumbai. It was originally named as Anjuman College of Commerce & Economics, but in the year 1975 it was dedicated to the memory of late Mr. Akbar Peerbhoy, a noted barrister, philanthropist, educationist and founder of the college. It is now known as Anjuman-i-Islam’s Akbar Peerbhoy College of Commerce & Economics. This year the college has completed 48 years of its useful and beneficial existence. The college is permanently affiliated to the University of Mumbai for the teaching courses of studies upto B.Com Degree Examination (Three-year integrated B.Com Degree course). The college has also started the Degree Courses of Bachelor in Management Studies (BMS), Bachelor of Science in Information Technology B.Sc. (IT), B.Sc. (Computer Science) and Bachelor in Mass Media (BMM). In addition, the College also conducts certificate courses in Computer Programming (Software) and Diploma in Business Management. The College conducts M.Com Classes and has started M.Sc. (I.T.) from June 2007. The College has lush Green Campus. The College has been recognised as Ph. D. Research Centre since 2014-15 by University of Mumbai. The college is conveniently located on Maulana Shaukat Ali Road, Mumbai 400008, midway between J.J. Hospital Junction and Grant Road Railway Station. It can also be reached by B.E.S.T. buses plying on route No. 135 between Mazgaon Dock and August Kranti Maidan, via J.J.Hospital and Grant Road Railway Station. It is therefore easily accessible by bus and train. The college aims at training students in the field of Commerce & Economics, Management, Mass Media and Information Technology and developing their overall personality, so that they become assets to the society. To achieve this end, the college has numerous co-curricular and extra curricular activities. From the academic year 2004-2005, the college has been made centre of National Council for Promotion of Urdu and Arabic Languages, Ministry of Human Resource Development Govt. of India. The academic terms of the College for the year 2017-2018 will be as under. First Term Starts from 05th June 2017 to 16th October 2017 Second Term 09th November to 30th April 2018 (There will be a break for winter from 25th December to 31st December – both days inclusive.